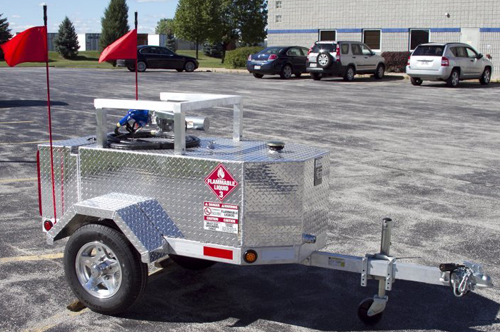 Small, portable fuel tank trailers for transporting and dispensing combustible OR flammable fuels. 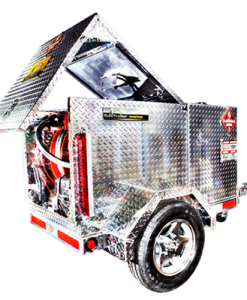 Gas Trailer fuel tanks, available from Equipmentland, are DOT certified Fuel Tank Trailers for diesel and aviation fuels for airplanes, helicopters, boats, fleet vehicles of construction, private airfields, farming, disaster relief – private or commercial use. 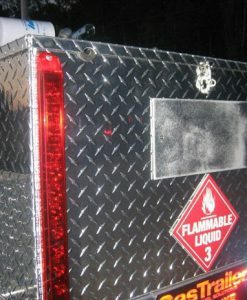 No Hazmat license required for flammable liquid transport. 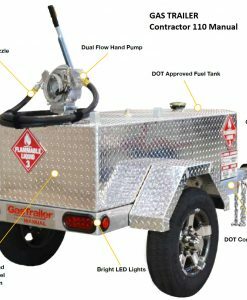 A Special Permit Special Permit from the Department of Transportation (DOT) authorizes the manufacture, mark, and selling of these refueling tanks to store and dispense gasoline, diesel, methanol, aviation fuel (av gas), and Jet A (kerosene) up to 119 gallons in capacity. 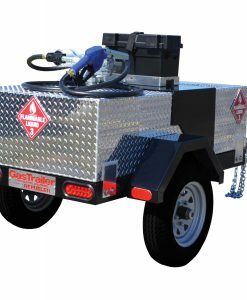 This allows the user to refuel vehicles, equipment, or machinery without having to remove the fuel tank from the transporting vehicle. 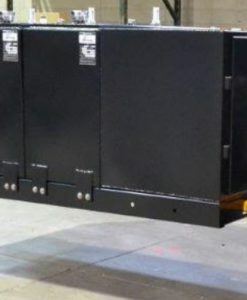 Higher gallon capacities possible by special order, with more than one 110 gallon tank on at trailer, separated and not connected however. 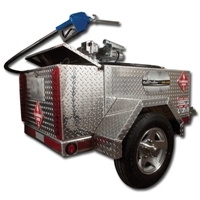 EQUIPMENTLAND is the primary authorized Gas Trailer dealer with the lowest prices. If not, we want to know… and we will reward you for informing us! – CURRENT delivery 8 weeks. – CURRENT delivery about five weeks. – CURRENT delivery 4-5 weeks.